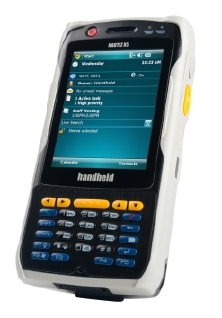 The Handheld Group has announced it will supply Netherlands Railways (NS) with more than 10,000 rugged handheld ticketing terminals, 6,000 of which will be the Nautiz eTicket Pro for contactless ticketing. The Nautiz eTicket Pro rugged PDA, designed specifically for payment transactions and validations in the public transportation market, features an integrated smart card reader from Arcontia that supports NFC for mobile applications, smart posters and tickets. According to Handheld Group, the reader complies with all the latest e-ticketing requirements and standards in public transportation, including the entire MiFare family. The eTicket Pro also features an 806 MHz processor, 3-megapixel camera, integrated 2-D imager, WLAN, Bluetooth, 3G cellular capabilities and GPS. The device operates on Windows Mobile 6.1, and offers 256 MB of RAM and 512 MB of built-in Flash storage. The Handheld Group’s contract with NS extends over five years, with the majority of readers being deployed this year.